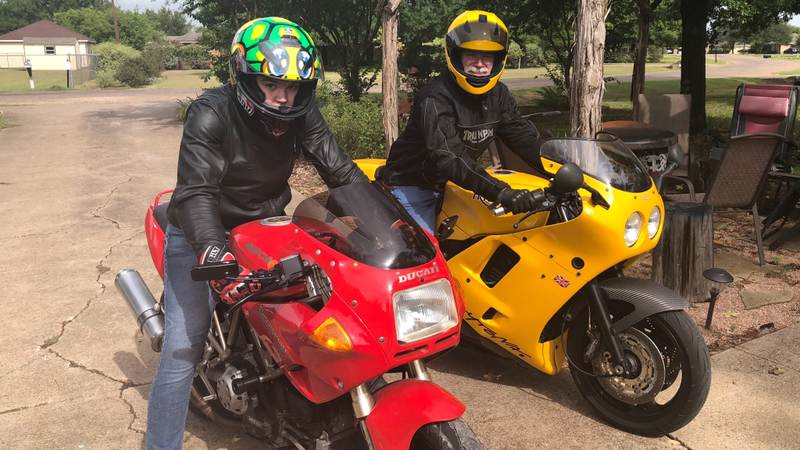 “Dad you can’t build a Drag bike out of the Bultaco in 4 weeks.” So my now 15 year old know it all son Zeke took his hard earned summer money and bought a 93 Ducati 900ss. It looks like the Sausage Creature. He wants to take it to the Twist Off in Texas this November. 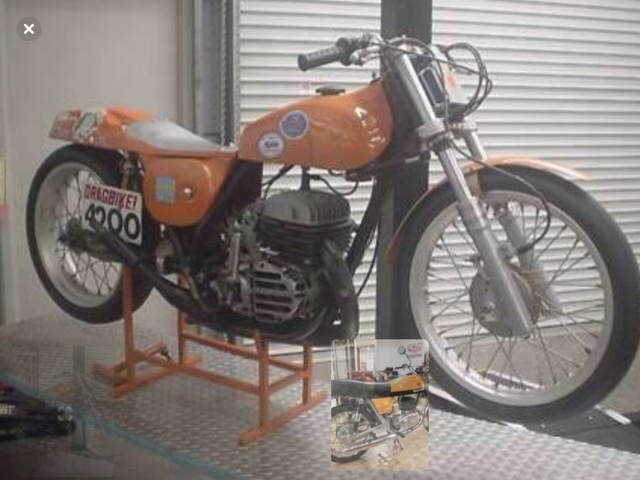 Last year we were fairly matched at the event with me on the Lucky our cb200 and Zeke on the Bultaco 360. Zeke was handicapped because the taco required extra foot work to shift since the gear shifter lever was not set at the middle of the throw. So I am looking for a little speed to compete with the youngin’ this year. We will race grass sprints in the morning, barrel race 50cc bikes, and then drag race on an 1/8 mile at night. 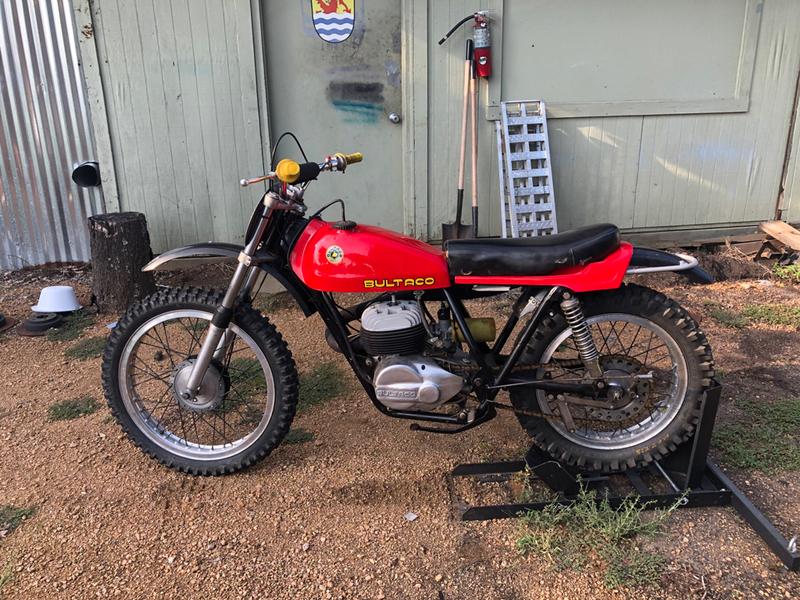 So here is what we are starting with an m51 Bultaco the goal is to allow it to return to its original state minus some weight off the flywheel. You may ask yourself well why Texas two step taco? Well a wise man once told me it was all about optimization and having fun. 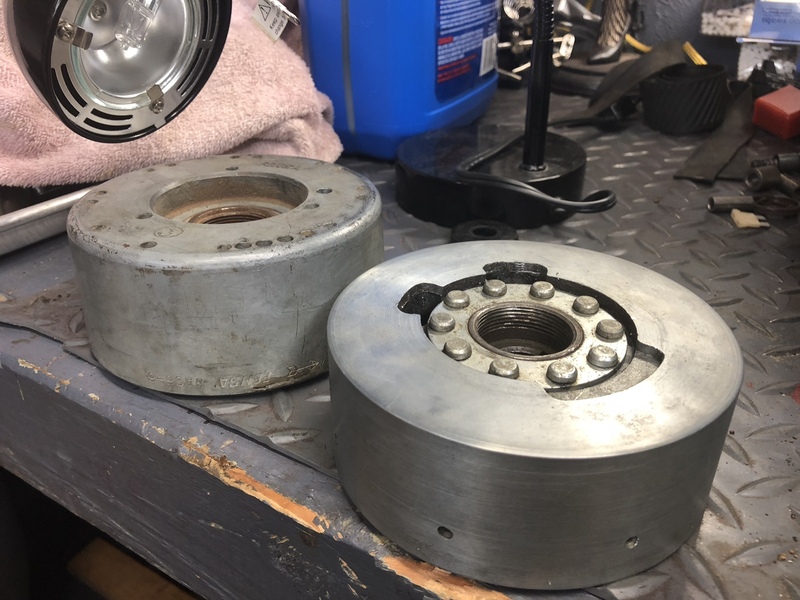 So can we build a Drag bike and a Grass Tracker out of the same bike and race it in two different events on the same day and complete it in a four week time frame? 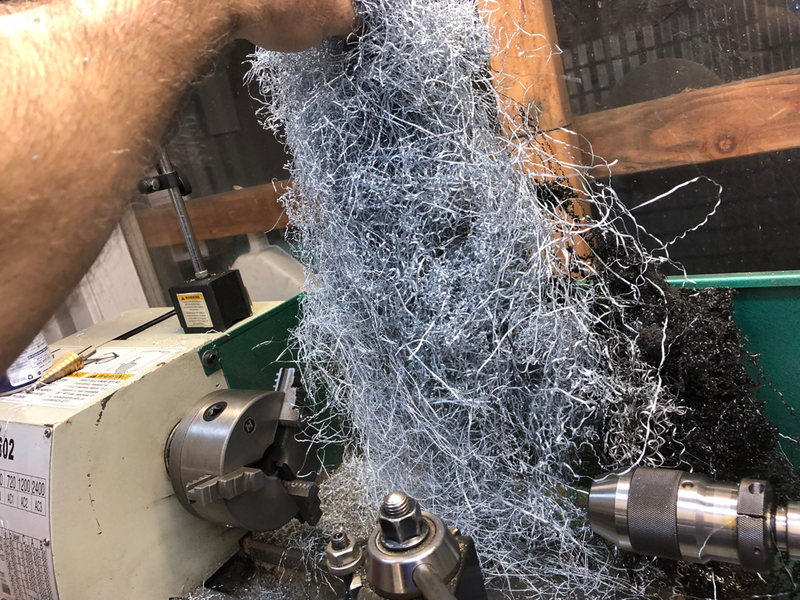 The goal is to use as many of the existing components as possible minus a swing arm. Keep the Beto forks, 21” akront front wheel, 18” rear wheel. Maybe add a reed valve, flatslide, air shifter, slicks, and beat Zeke. Damn - when I grow up I want to be just like Zeke. Wait - no. That doesn't work at all. But, damn. What an introduction that kid's having. Lucky guy! And a hard worker. He worked all summer in the Texas heat fixing sprinkler systems and saved all his money to buy HIS first motorcycle. Very proud of him. 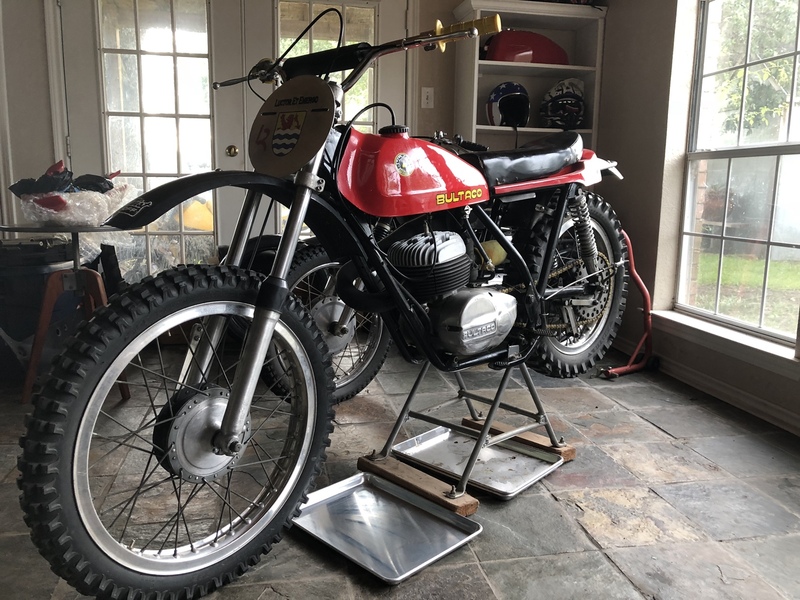 Lowering the 35mm Beto Bultaco forks is accomplished by removing the dampener, disassembling and installing an internal spacer as shown. 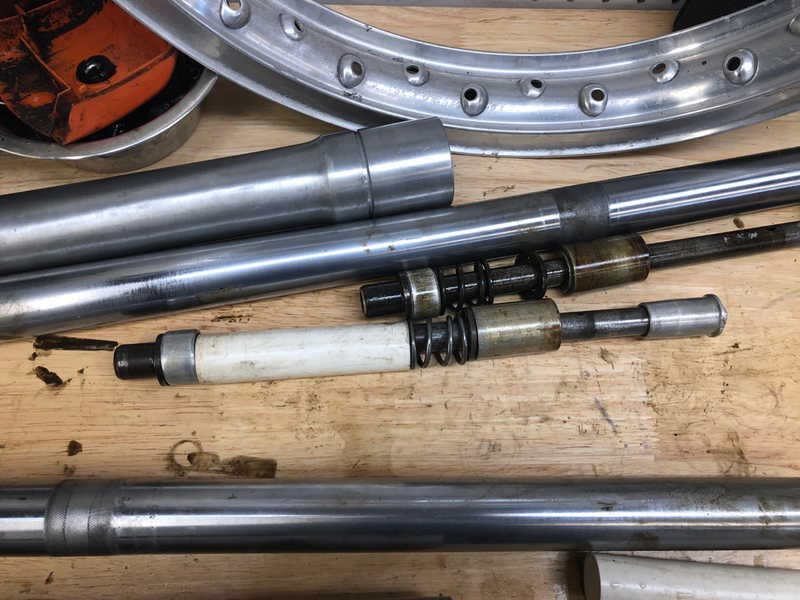 Two things make sure the snap ring is seated behind the head of the dampener and always use loctite when assembling to the lower fork tube. 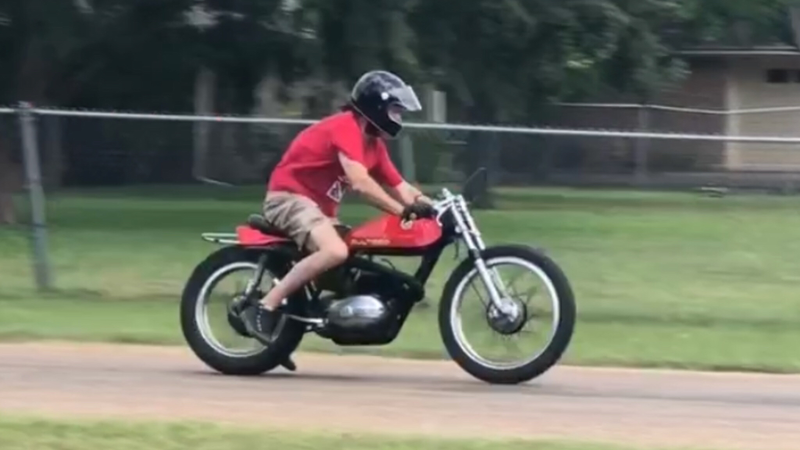 Ok we took a spin on Sunday with the front end lowered for our Bultaco Drag bike. 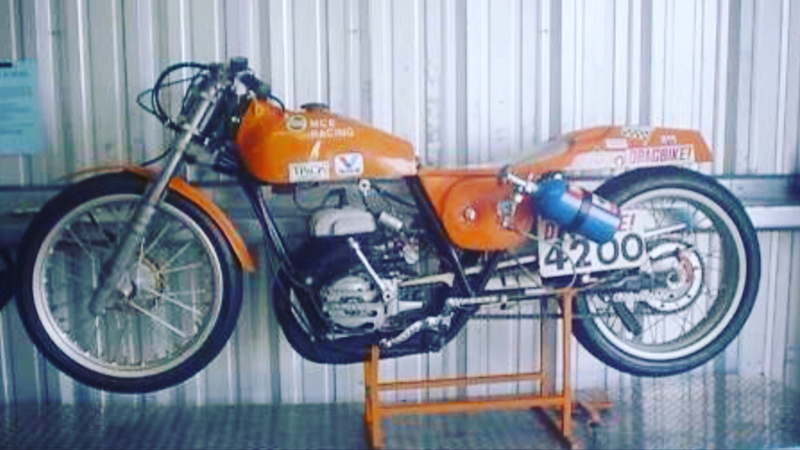 Bandido frame and Montadero engine. 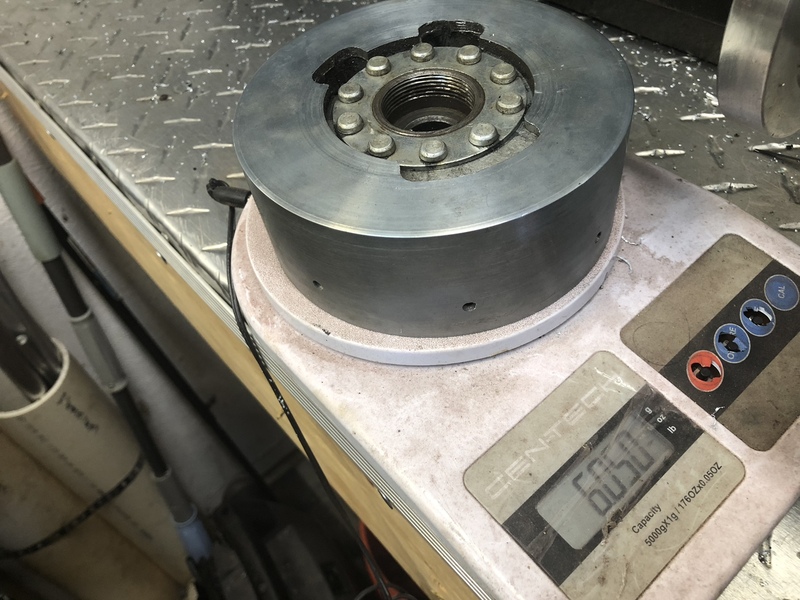 Removed 2 lbs off the 8 lbs flywheel. 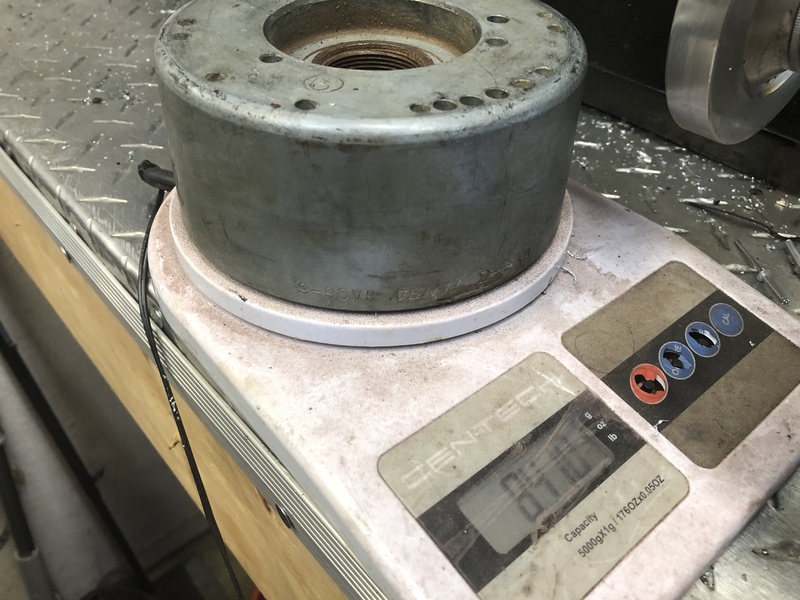 However we are taking the mag and rotor off our ds80 Suzuki’s to test it.